L'École française d'Extrême-Orient (EFEO-French School of Asian Studies), was established in 1900 in Hanoi, Vietnam to undertake interdisciplinary research on Asian civilizations and cultures, from India to Japan. The EFEO Taipei Centre is located on the Academia Sinica campus. First hosted by the Institute of Modern History from 1992 to 1996, it moved in 1996 to the Institute of History and Philology (IHP) under a new cooperation agreement signed that year. This agreement covers joint research programmes and exchanges of researchers and documentation (databases) between the two institutions. The Centre's research mandate includes the coordination of collective and individual projects between the EFEO and the IHP, the organization of regular talks and conferences, and academic support for visiting scholars and students. It hosts and advises EFEO Fellowship students. Since its establishment, the EFEO Taipei Centre's research projects have centred on China and Taiwan local and cultural history and on the sociology and anthropology of Chinese religions. Philology works, such as the inventory of the Tibetan Collection held at the Institute of History and Philology's Fu Ssu-nien Library, or the cataloguing of a collection of Burmese manuscripts have also been conducted. More recently, the political history of Chinese borders and of Sino-Tibetan relationships, the history of urban administration, study of Tibetan Buddhism in Taiwan, maritime history, and the history of Taiwanese archaeology have been the focus of the main research programs. The Centre has also an active collaboration with the National Palace Museum through a scientific research program focused on Asian art and cultural history. Conferences, scholarly exchanges, workshops, exhibitions, and international joint projects are organized to develop the Museum research staff's knowledge in Asian art. 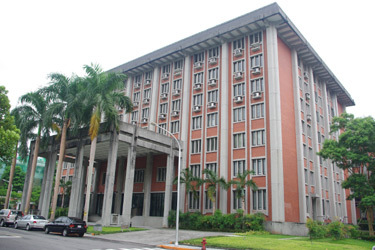 The Centre is also cooperating on specific projects and lectures with a series of Taiwanese universities (National Taiwan University, National Cheng-Kung University, National Taiwan Normal University, National Tsing Hua University, National University of Technology, Tamkang University, National Central University) and with the French Research Centre on Contemporary China (CEFC)'s Taipei Office. Some of these activities receive the financial support of the French Office in Taipei. From 2012 to 2015 the research project "Practice of Tibetan Buddhism in Taiwan" led by Fabienne Jagou was awarded a 4-year research grant from the Chiang Ching-Kuo Foundation. 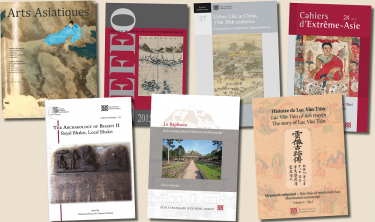 In 2014, two joint projects between the EFEO Taipei Centre and the Institute of History and Philology, Academia Sinica, were financed by the French and Taiwanese national research agencies. The first project, Maritime Knowledge for China Seas, under the leadership of Paola Calanca and Chen Kuo-tung, received a 4-year research grant from the France-Taiwan ANR/MOST program. The second project, Taiwan Maritime Landscapes from Neolithic to Early Modern Times, organized by Paola Calanca, Liu Yi-ch'ang and Frank Muyard was selected by the French-Taiwanese PHC Orchid Program and resulted in an international conference held in Paris in November 2015. The 2nd of April 2014, an International Conference organized within the frame of the Research Project Practice of Tibetan Buddhism in Taiwan will be held in Taipei. Download the program. Conference by Lucia Candelise (CNRS-SPHERE, National Tsing Hua University) on "The transfer of Chinese medical knowledge in France during the first half of the 20th century."